A chieftain of the All Progressives Congress, APC, and 2015 governorship candidate of the party, Dakuku Peterside says perceived disagreement within the party’s fold was because of its now found attractiveness. Peterside, who is the Director General of the Nigerian Maritime Administration and Safety Agency, however, said the leadership of the APC would determine his fate in the 2019 general election. Speaking in an interview, Peterside expressed optimism that the APC in Rivers State would overcome its challenges, unite and work on retaking power from the Peoples Democratic Party in 2109. He said those expecting to benefit from the reported rancor within the APC in Rivers State should think twice. He said, “There is absolutely no rift in my political party, the APC in Rivers state. 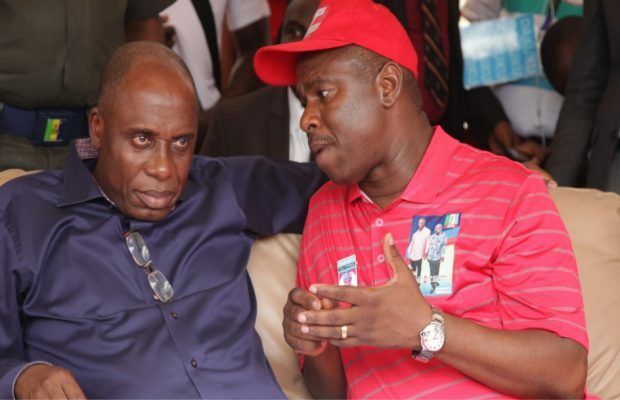 The party is united under Honourable Rotimi Amaechi. “In various families from time to time, you will see people with different perspectives but over time there is an internal mechanism to resolve these issues and what is going on in the APC family in Rivers state is usual. “We are a large family and that has nothing to do with the objectives. “We are on a mission to uproot the misgovernance in Rivers state.